Visit the capital of the island on board the Santa Cruz de Tenerife tourist bus and have a great time learning about the city while listening to your Santa Cruz audio guide which is included in the ticket. Hop on and hop off at any of the 15 stops on the route of the Santa Cruz City View to discover some of the Tenerife capital’s main points of interest on foot, and enjoy the tour on board a double-decker tourist bus with an open-top deck which offers you the best panoramic view of Santa Cruz. You choose where you want to stop and for how long. With this tourist bus ticket you can hop on and hop off as frequently as you like. The City View tourist bus in the capital of Tenerife has 15 interesting stops at which you can hop on and hop off at your leisure to continue discovering Santa Cruz de Tenerife on foot. The Santa Cruz tourist bus runs every day of the week. The first tourist bus leaves Plaza de España at 9.30am and the last one leaves the same location at 6.30pm. If you hop on the last bus of the day, you will have an hour to do the whole route. From 1st September to 31st May, the tourist bus runs every 20 minutes. From 1st June to 31st August, the tourist bus runs at a frequency of 44 minutes. With 15 stops and such a fantastic frequency, the tourist bus is one of the best ways to discover the capital of Tenerife at your leisure. The purchase of tickets for the tourist bus includes free admission to Palmetum, the botanical garden in Santa Cruz de Tenerife, which is dedicated mainly to palm trees. Hop off at stop no. 10 on the route of the tourist bus and enjoy the careful selection of palm trees in this spectacular place. Your Santa Cruz tourist bus tickets also include a 20% discount on guided tours of the Adán Martín Auditorium, designed by the renowned Spanish architect Santiago Calatrava and situated on the ocean front. Your tourist bus tickets also include a 10% discount in the cafeteria at the Auditorium. Take advantage of these discounts at stop no. 10 on the route of the Santa Cruz City View. Your tourist bus tickets also include a guided walking tour around the centre of Santa Cruz, the entrance ticket to the Military History Museum and the use of the land train. With City View you are also granted free access to La Casa del Carnaval, the interpretation centre of the Carnival in Santa Cruz de Tenerife, which is one of the best carnivals in the world. Hop off at stop no. 15 to learn more about the heritage of this Tenerife festival. Yes, that’s right. 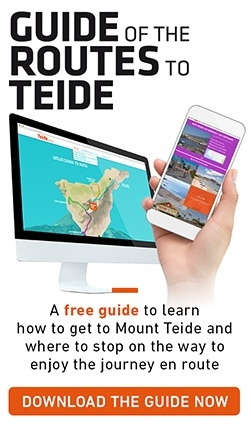 On Tuesdays and Fridays between 22nd March and 28th June 2019, you can purchase the Santa Cruz de Tenerife tourist bus ticket with a free return journey between Puerto de la Cruz and Santa Cruz. Please consult the ‘Pick-up point and hours’ section for more information. The Santa Cruz de Tenerife tourist bus runs every day of the week from 9.30am. The Santa Cruz land train runs every day of the week. From 1.09 to 31.05, the land train runs every 25 minutes; first departure at 9.30am, last departure at 6.40pm. From 1.06 to 31.08, the tourist bus runs every 40 minutes; first departure at 9.30am, last departure at 7.00pm. Ticket holders are allowed to hop-on and hop-off at any of the following stops: (1) Plaza de España (point of departure-return), (10) Palmetum and Adán Martín Auditorium, (15) La Casa del Carnaval. The free transfer service is available on Tuesdays and Fridays from 22nd March to 28th June 2019. You must be at the selected stop 10 minutes before the approximate pick-up time below and show your booking confirmation to the bus driver. The bus will be at the stop at approximately the scheduled time and does not wait. You will recognise the bus by the banner and logo displaying ‘TENERIFE CITY VIEW’. Tenerife City View main stop: 5.00pm. No animals except guide dogs are allowed on board the Santa Cruz tourist bus. It is necessary to present the booking confirmation and to keep it throughout the tourist bus tour. If you lose it you may not be able to continue using the service. In order to benefit from the discounts and free entrance tickets offered by City View you must redeem our voucher for a City View ticket at the Plaza de España point of sale or, otherwise, on any of the tourist buses. You can change the date of your tickets for the Santa Cruz tourist bus or cancel them free of charge up to 24 hours in advance. At the bus interchange—stop no. 12—you can get on board the Santa Cruz tourist bus.